Australian, Oakland-based artist Hazel English released debut 12-inch vinyl EP “Never Going Home”, on House Anxiety/Marathon Artists earlier this month. Swimming in between dreamy pop and shimmering guitars, she expresses in her music her struggles as a 25-year old woman, living abroad, yet who feels like she is home. While her music style is intrinsically happy, her lyrics reflect her melancholy and worries through life. Hazel English‘s musical success comes merely from her deep honesty in every track, creating a connection with the audience as we can easily relate to her anxieties. She took some time to discuss with us about her EP, her inspirations, touring and how she found empowerment in song-writing. Highclouds: Can you introduce yourself, for our readers who still don’t know you? 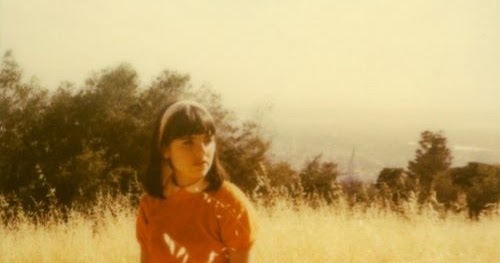 My name is Hazel English and I write songs that have been described as dreamy and nostalgic. I am Australian but I currently live in Oakland, California. What are your inspirations as a musician? I am inspired by books, listening to my favourite albums, going for bike rides, experiencing nature, travel and trying new things. You released your debut EP a few weeks ago. In it some songs, you share your struggles with your image, like in “It’s Not Real”. In which way do you think being a public artist helps you to accept yourself and send a message for all of your fans who might share the same struggles? I think it’s really important as a creative person to have an outlet for self expression and being able to share these songs with others is very empowering. I am lucky to have had a lot of encouragement and acceptance so far which helps. I feel like songwriting has helped me find a deeper sense of self. In “Make It Better”, you say “I want to be seen, yet I want to be invisible” Do you consider yourself as shy? And how do you see yourself as an artist performing in front of people? I wouldn’t call myself shy, more reserved I would say. I like to perform in front of people but I still get nervous. It’s the combination of the two contradicting feelings, to run away and also to confront the thing that I’m afraid of, that I find interesting. You are Australian, but you are currently based in Oakland. How does your experience as a foreigner inspire your career? Travel really inspires me as a songwriter and living in a different country has allowed me to be constantly creative, by getting out of my comfort zone and experiencing new things. Thankfully the U.S. has been very kind to me and I have received a lot of support since I moved here. Your music has two faces. There is the happy vibe of the instruments, married with lyrics about your anxieties. How do you feel both feelings fit together? I believe the perfect pop song is simple but just complex enough to be memorable. I like to bring the light and the dark together to add a more complex component to a simple pop song. It’s also important to me to be honest in my lyrics, and to talk about the things that I am dealing with in my life such as anxiety. You can follow Hazel English over Facebook, Twitter and Soundcloud. You can also check the dates of her European tour below. She will be at Botanique on November 24 and you can win free tickets by subscribing to our Newsletter.